The information session for 2:30pm today, January 31, will resume as planned. The Center for Career and Professional Development asks that students only attend if they can safely make it to campus. Their final information session will be tomorrow, February 1, at 1:30pm. Both information sessions will occur in Pratt Hall 305. Dr. Lenze strongly urges his students who still need to attend the session to do so TOMORROW! Please do not go today! It is too dangerous to be outside. I will post a D2L announcement for students, but I would also ask if you could please relay this information to your respective classes to ensure they are aware of the additions. If students are unable to attend the sessions, I am still planning to upload the recorded presentation to D2L once the sessions have concluded, so they will have the opportunity to hear the same information. Due to the cancellation of classes, our department has decided to cancel today’s scheduled information session. I will be in contact later today once I have more information regarding potential reschedules or alternate options. This is another reminder. There are only two options for attending the Mandatory Meeting with the Center for Career and Professional Development for the Winter COMM 395 class. Remember, in order to pass the course, you must complete four more assignments! You do not necessarily have to pass them, but you may not skip them. Students will be able to begin sign-ups for their interview and/or etiquette dinner starting on Monday, February 4 and running through Friday, February 22. The etiquette dinners will occur on Monday, March 4 and Tuesday, March 5 (students would only need to attend one dinner). For Winter COMM 395 Students, the mock interview program will begin on Monday, February 18 and wrap up on Friday, April 26. For more information, visit the following site. The Steelers will be looking for a Public Relations Intern over the next few months. It’s a 1-2 year full-time position open to post-grads. If you have a couple students who you think would excel in this role, please fill free to pass along the attached job description. They can apply by emailing me (tegneliaa@steelers.nfl.com) a resume and cover letter. We will also be hosting our PR Student Summit again this March. I will be reaching out with information on that in the coming weeks. We will share more information on the internship opportunity at the Summit. This is a reminder. Your COMM 395 class is not finished! In order to pass the course, you must complete four more assignments! You do not necessarily have to pass them, but you may not skip them. Where are you going to complete your internship? There are approximately 120 Communications Media students currently looking for internships. Of those, around 20 have either received an offer, confirmed the internship, or are far along in the process. That leaves 100. Of those 100 who do not have an internship, only 10 of you signed up to go to a meeting with free pizza to discuss an internship in a major U.S. city with an internationally recognized internship site that includes housing. Oh, and I forgot to mention that the State of Pennsylvania will pay your tuition and the overall cost is the same as most other internships. There is no obligation if you attend this reception. Given how great the offer is, what is stopping you from attending? I will leave the RSVP open till 4 pm today and hope that those of you who did not plan on attending will reconsider. Welcome back, I hope you had a great break. On Tuesday, January 29th, IUP-TV will be having our recruitment meeting at 5:00 p.m. in Beard Auditorium -Stouffer Hall. IUP-TV is a great way to meet new people and gain skills in your field. We are made up of 6 different shows, so come check us out! If you have any questions please feel free to email me at FFRV@iup.edu (mailto:FFRV@iup.edu). Hope to see you all there. YMCA of Indiana County is leading the way in fitness, aquatics, and sports. Our facilities are located at 60 N. Ben Franklin Rd., Indiana, PA. We are constantly evaluating and developing new or improved ways of doing what we do best. We recognize that we have an essential place in Indiana county and are looking for employees and volunteers to help us deliver to the needs of the county. The YMCA is a non-profit, charitable organization that was established in Indiana County in 1911. We have a wonderful facility including adapted programming, gymnasium, swimming pool, fitness centers, and outdoor athletic areas to meet the needs of our members and the community. We are a membership-driven organization with over 6,000 members that offers financial assistance to those that cannot afford to pay the full membership. We are currently recruiting interns for our department of marketing, health & wellness, adult sports, youth sports, adapted programming, and special events. The interns will work under the supervision of one of our program directors with specific objectives and outcomes. The interns will aid in the preparation of upcoming events, leagues, and activities as well as assist in delivering programs and classes. All interns will be expected to keep a journal of activities and work performed. Bi-weekly or monthly review meetings will aid the intern in developing skills and competence. An event book will be developed at the completion of the internship to demonstrate what was completed and learned. The book will also indicate what is still to be done since our programs overlap semesters. In some cases, interns work will be needed to pass on to the next intern so that programming is completed without interruption. A qualified intern should be in their junior or senior year in either. The applicants must pass an interview and background checks as well as be available during the hours needed for the program area of interest. Applicants should have a strong desire to work with others, good communication skills, able to work in a team and complete assigned tasks independently. If selected, you have the opportunity to work with many wonderful professionals and community members. It is our intent to develop the opportunity that best fits the experience you wish to have. Approximately 20 hours per week, flexible schedule, should include some weekend and evening hours. As needed, typically 15-25 hours per week in a semester. Another arrangement may be available including summer and short-term internship of up to 40 hours per week. Unpaid Internship, YMCA membership benefit for the duration of internship available. For more information, contact Shawn Sebring (724)-463-9622or email resume, cover letter, and references to shawnsebring@icymca.org. 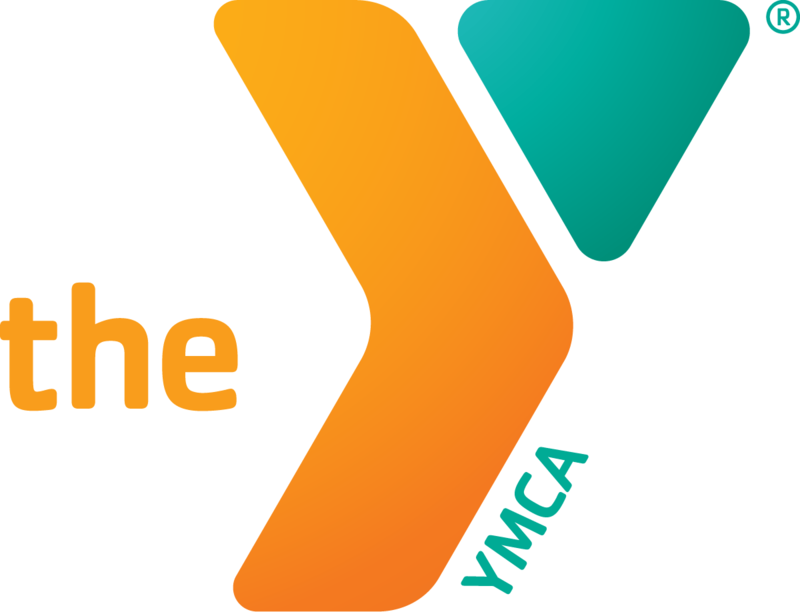 Communication Media-throughout the summer this position would help to develop visual media for use throughout the remainder of the year for programs and services of the YMCA of Indiana County. May include photography, video, print or web layout etc. Specifics based on applicants ability and desires. Journalism–a summer internship to develop articles, news releases, and personal interest stories for various uses by the YMCA during the year. Programs, personal success stories, community impact and possibly some interviews would be a part of the expectations. Summer Youth Wellness Program Specialist(Exercise Science, Physical Education)-seasonal position to help with organizing, implementing and recording results of an 11 week wellness program to limit the impact of obesity on children. Key concepts of the program are nutrition, physical fitness, lifelong habits and doing your personal best are. Program Specialist (Exercise Science, Physical Education): may work with director and staff in planning, coordinating and implementing programs such as Y’s Loser and YMCA Family Fit. Additionally will help with general fitness improvement of our members. Older Adult Specialist (Sports Management or Exercise Science): may work with the older adult population to improve involvement with exercise as well as plan social/educational events for the participants. Nutrition and Dietetics – year-round opportunity to work with our wellness staff to provide education to young athletes to older adults, for weight management to athletic performance. Youth SportsSpecialist (Sports Management, Physical Education) -year-round availability, may work with the coordinator to manage volunteers, staff, and officials as well as facilities for youth sports and leagues. Special EventsSpecialist (Sports Management)-Winter and spring position; may work with coordinator and directors to manage volunteers, staff, and officials as well as facilities for upcoming special events. Additionally will help prepare equipment and perform evaluations of current programs. This person will need to have good office skills,as phone, computer and people skills will be highly used. Aquatic Programs Specialist (Sports Management, Physical Education)-may work with director and staff in planning, coordinating and implementing programs such as swim lessons, group exercise, and facility management. Free Pizza and an Internship! Why would you not go to this reception? You get free pizza and access to a prestigious internship opportunity! The Washington Center will be on campus and will host a reception with PIZZA on February 11, 2019 in G-16 Stouffer Hall! This is a great opportunity for students considering TWC as an internship site! Not only does TWC place students in high profile, prestigious internships; early applicants are also eligible for a limited number of tuition scholarships provided by the State of Pennsylvania. There is still time to get some of those scholarships; a wonderful thing to put on your resume! Please RSVP by Friday, January 25th, if you intend to be at the reception by checking a box in this Doodle Poll.